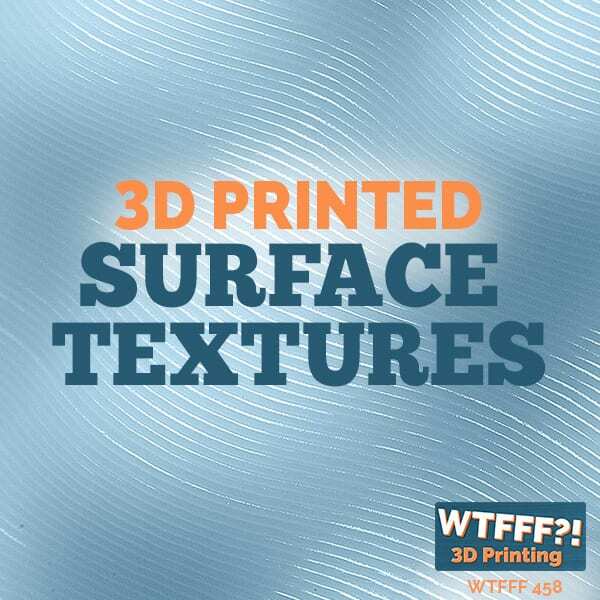 In today’s episode, Tom Hazzard talks about 3D Printed Surface Textures. 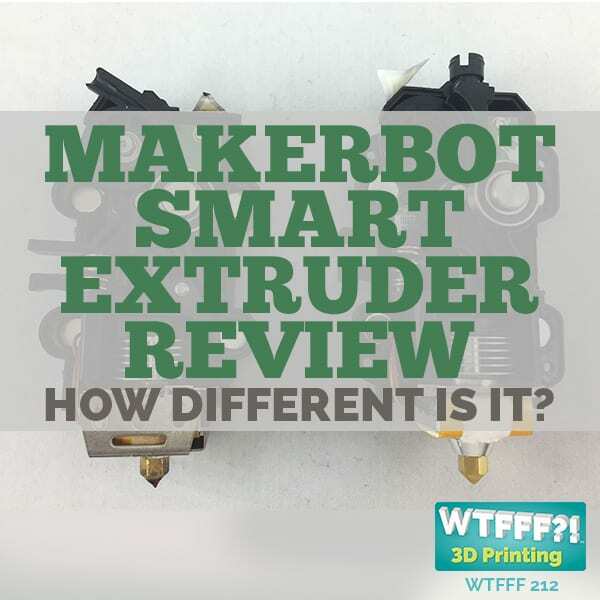 This episode was based on a question submitted by a listener, which is the idea of adding subtle or shallow surface textures to 3D models for 3D printing and methods that would preserve an object’s basic geometry. I wanted to respond to a listener’s email, who wrote in very recently, March 22nd. Actually, I also wanted to just point out, and this is a good example, that we do get your emails. We do get your social media posts. If you’ve got a question or a good suggestion for a podcast topic, please write in and let us know. We just may very well put it on the show and sometimes without much delay. I thought this one that wrote in just this past week was a really good one. Something we’ve touched on a little bit in some past episodes, but I think some of those episodes may be so old now that they’re not even really available on iTunes because we’re getting up there now in episodes. The subject is surface textures. This is written by Casey Snyder. Casey, I appreciate you writing in. Casey writes and throwing out there an idea for a show topic that many people might benefit from. 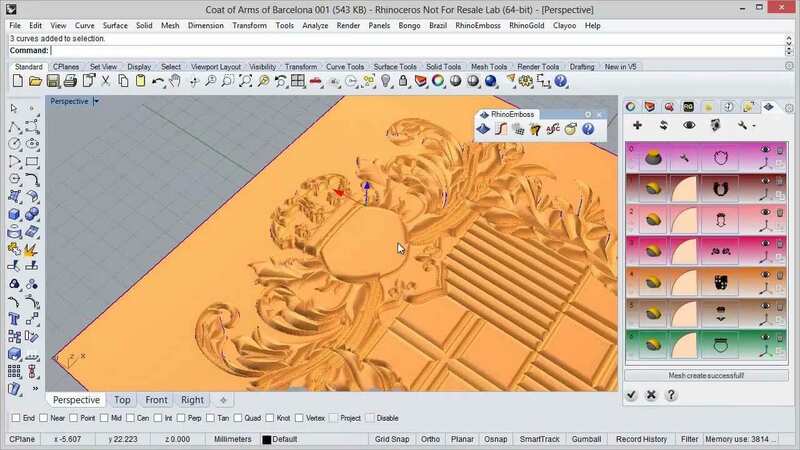 The idea of adding subtle or maybe shallow surface textures to 3D models for 3D printing. Casey is really looking for methods that would preserve an object’s basic geometry. Casey primarily uses SOLIDWORKS and would love to be able to knurl, fish scale, dimple, etc. over curved and irregular surfaces. Casey realizes it might be a tall order in SOLIDWORKS and has attempted surface textures in Mudbox and Blender, but feels it’s too uncontrolled. It always tends to alter the part in ways that were unintended. The idea here is to break up the layer lines, the visible vertical layer lines on a part, but ideally still maintain the core geometry. It’s actually a really good question and issue that Casey is having. I have had the same issue many times myself and I’m sure many of our listeners have. 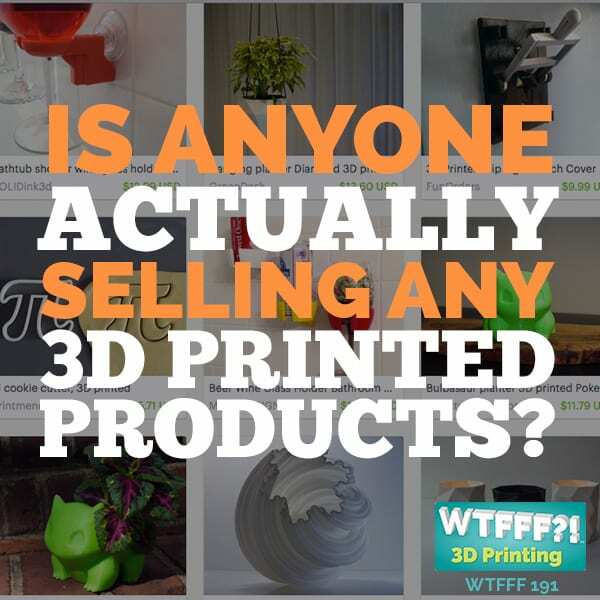 I’m going to invite any of our listeners who have come up with good ways to do this to please write in and comment on the blog post or reach us through email at info@3dstartpoint.com. 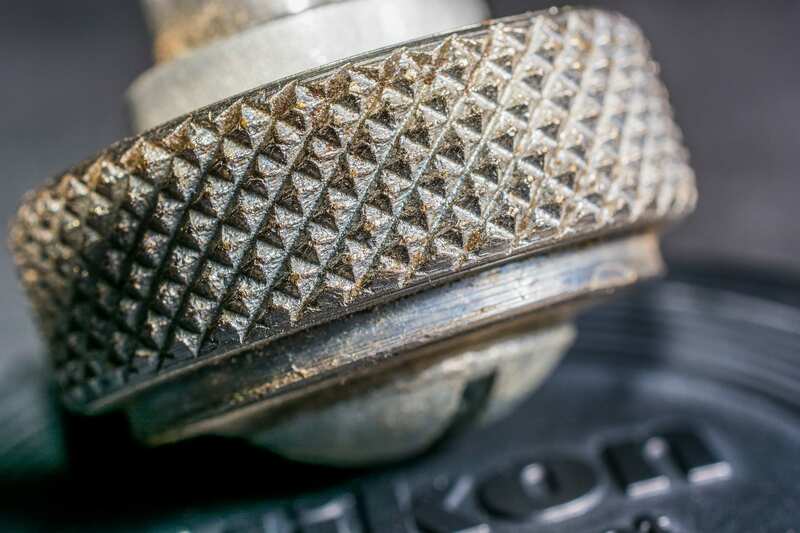 Surface Textures: Knurling is a way to create a diamond patterned grip surface usually done on metal. I’m going to tell you just what I’ve done from my perspective. I’ve had the exact same issue. This is a tough one. Let’s talk about knurling first of all, because knurled surfaces are pretty unique in the world of geometry. Knurling is a way to create a diamond patterned grip surface usually done on metal, although I’ve seen it molded on plastic. It’s a process that has existed as long as really metal lathes have existed. There’s an actual tool called a knurling tool. It’s quite fascinating because if you turn a piece of metal and let’s say you want a handle at the end. The easiest example I can think of is if you’ve ever used a vise grip pliers-type of tool, the Vise Grip brand. There are others that are not their brand. But that’s the easiest example I can think of a knurled surface. If you don’t have one, next time you’re in Home Depot or Lowe’s or any hardware store, you can find one. A vise grip is an adjustable pliers, it has an adjustable grip of a pliers made of stainless steel of some kind. They have this screw in one of the handles that you can adjust in or out to change that adjustable grip range of the pliers. At the very bottom of that, what you actually turn has a bit of a diamond patterned grip on it. That is a knurled surface and it’s formed with a tool called a knurler. The idea is that big screw is a screw machine part. It’s produced on a lathe. They’ll cut the threads in it and then have this little pronounced handle at the bottom. That starts out, it’s just a flat radius surface. This knurler tool, which has two different wheels on it, they’re really a cutting tool and a forming tool in one. If you push it in as the part is rotating slowly on the lathe, you push the knurler into it and it simultaneously cuts and digs into that surface and reforms that steel into a diamond shaped pattern which makes it grip really easily. Obviously, the intension was make a surface that’s easy to grip. 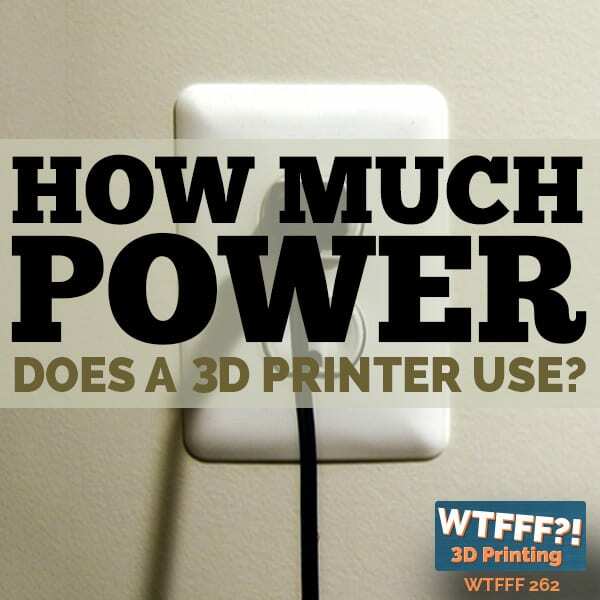 Now, when it comes to creating something like that in a 3D printed part, that’s a little different because obviously we’re not forming material as it’s rotating in the same way. You would have to actually create it in geometry. Here is where you have to be much more precise in creating your geometry than you would using a knurling tool. It’s an interesting example and it’s part of why I wanted to talk about this today. There are many things that have been created in standard manufacturing since the first industrial revolution. Manufacturing methods, decoration methods, manipulation of material methods that are built around how things are traditionally made, in this case a lathe turned part. The knurler is fascinating because no matter diameter or part you want to knurl, no matter how large or small that diameter is, the knurler tool will work every time. It’s not something you program in to a process to make sure it all matches up. It just does it. It’s hard to explain why that is. It’s a fascinating aspect of physics and geometry and manufacturing. But when we need to make something like that and 3D print it, you have to predetermine that pattern and the 3D printer has to just actually go and make the geometry. It’s an entirely different process. It’s much more difficult to get that repeating pattern to repeat perfectly around the circumference of the part. Let’s say, in this case, you’re going to do a round cylindrical type of part with that kind of texture. You have to predetermine that and make sure that that diamond pattern will absolutely match up and have consistent gaps and distances with no overlapping when you get around that entire 360 degrees of the part. It’s not always easy. You’ve got to know what your circumference is, design your three-dimensional diamond pattern to actually meet up perfectly around that distance and then create some geometry that you’re going to probably use a tool like an array or revolve tool or there are a number of different tools you can use to achieve this in CAD. But you’re going to either cut into or add to a three-dimensional surface in that pattern you want. It’s an entirely different process and it’s not easy. It’s not like you can just go, “I’ve made this cylindrical surface, go add a knurled surface.” Maybe some of the programs out there, some of the maybe higher end CAD programs, especially ones where you can specify threads and say, “I want an M6 thread on this part,” and it’s going to know what to do to make that thread or any one of the standard thread sizes you can do. I don’t know if any of them do knurled surfaces the same way. They may because it’s such a common thing. But let’s say for a moment that they don’t have that automated, it’s a hard thing to go and model in geometry. Surface Textures: I use Rhinoceros primarily, so that would be sweeping a rail with a certain shape. I guess what I would do in that case, when making a knurled surface, I would make my cylinder what I want. I would probably use either a Helix or a spiral geometry tool to create a curved path that is in a spiral formation. Spiral is probably the right one. You can define the number of turns that spiral does around the object and then over a given height distance, and then I would take a V-shaped or a triangular shaped, two-dimensional shaped and then extrude it. Extruding may not be the right term for following a path. Different programs call it different things. I use Rhinoceros primarily, so that would be sweeping a rail with a certain shape. It would create this V-surface in an object that is a continual, spiraled extrusion of a triangular shape or a V-shape. You’d have the point going in toward the center of the cylindrical object that you want to cut away from. You may have to adjust where your shape is relative to the path you’re sweeping it on or extruding it along. But you can get it so that you’re going to cut in to the cylinder you’re doing. You can do that with a spiral in one direction and then a spiral in the other direction to crisscross it and create your diamond shaped pattern. It’s going to be a multistep process. 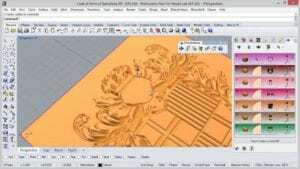 It’s not something it’s going to work really well in your parametric programs like SOLIDWORKS. Casey, I hate to tell you this, but the way of parametric programs and how they work, they’re not really made to handle this type of operation in an easy way when you’re creating something in your mind from scratch. They definitely would want it to be some kind of a program or script that’s going to somehow define this geometry that you want to create and have something programmed in. You really need it to be a tool that already exists to do this type of thing. I don’t use parametric programs very often for this exact reason, because some of the forms, shapes and textures that I want to create are not that easily defined in parametric programs. I would be beating my brains out if I try to do it all the time. Creating something in more of a program like Rhinoceros or even Blender or some of these other programs that allow more freeform geometry creation would be easier to do it in. But it’s still going to be a very manual process. 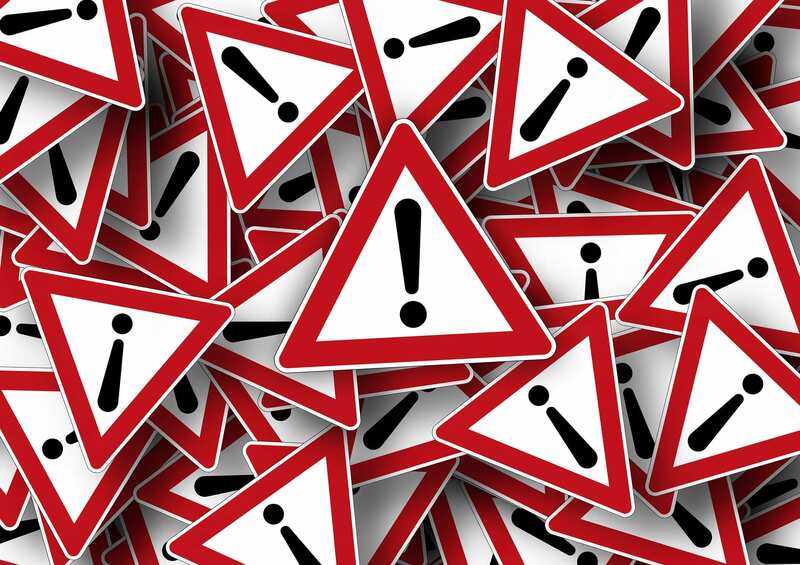 There are few programs that can help you do it in an automated way. Moving away from knurling, let’s just talk about some of the other things. Let’s say you want a dimple texture, like you wanted to make a golf ball and have dimples on a golf ball or any other really overall textured surface. Mudbox actually is a really good tool to do that. I have tried it. I actually have Mudbox and that’s what I would do. I would create my geometry in one program, bring it into another like Mudbox and apply surface texture to it. There are ways to do it so that you don’t alter the underlying geometry but it’s still not easy. I know certainly there are ways you can mess up your underlying geometry. Here’s the other problem you’re going to have. Once you bring it into Mudbox, if you want to bring it back into SOLIDWORKS, I believe you lose all your parametric properties at that point. Exporting something from SOLIDWORKS into a Mudbox program or Rhinoceros or other program, you’ve got to be taking what is very smart geometry and making it dumb. That’s what we call it. You’re going to be making it into a dumb solid in order to do this surface texture modification to it. You really need to have completely finished all of your geometry in the parametric program. The very end process is what you want to be doing the texture in. You don’t want to be having to then go back and do other things to it. If I were you and I were doing something like this, completely finish designing or engineering your part in SOLIDWORKS, save that file in SOLIDWORKS because you may need it again to do a different texture or if you take the texture too far and hurt it, you’re going to need to export it again. Then, make that be the last step in the process, putting a texture on it and go right to STL for 3D printing. That process makes sense. It’s like a one-way street though. You really are not going to be able to come back. Surface Textures: RhinoEmboss – You can apply any kind of texture you can imagine by using a 2D image, like a JPEG or something, of the texture. I have another example. Not to push Rhinoceros, it’s just what I have the most experience in. 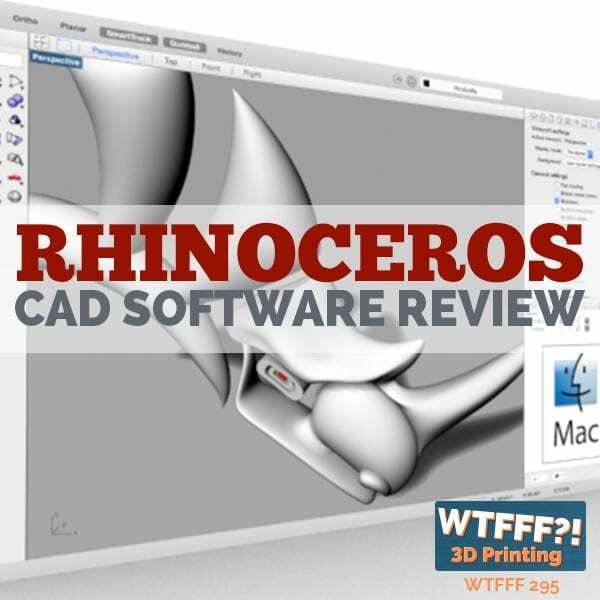 Rhinoceros is a program that there are a lot of companies that write and make plug-ins for it. I actually purchased a plug-in, pretty darned expensive one, I’m afraid to say. It was about $1,000, which was craziness unless you’re a professional. There’s a plug-in called RhinoEmboss. I bought that plug-in specifically to do this exact thing. Take geometry that I had created and then apply textures to it. You can apply any kind of texture you can imagine by using a 2D image, like a JPEG or something, of the texture. Any photograph that you like, that you can load it in and almost project it over the top of an object you’ve made and you can mask-off areas you don’t want to be affected and essentially paint, if you will, or draw with a brush or whatever, in the areas that you want the texture to be applied. You can choose if you want it to be embossed or debossed, or in another way, if you want it to be added texture away from the surface you’ve created or if you want it to cut in, basically making something convex or concave. You can choose and decide that. It allows you to create very unlimited kinds of textures. I think Mudbox does a similar thing. I think also ZBrush I’ve seen has that same kind of functionality. But again, it’s not in the world of parametric modeling. 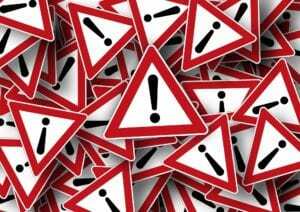 In every case, every example that I know of that I’ve used, it’s going to be an end-use process, like I said, a one way street. You don’t want to do that until you believe you don’t have any other modifications you need to make to your part because it’s going to be extraordinarily difficult to do that after the fact. RhinoEmboss, lots of other great tools for manipulation, creating relief structures, that’s really what we’re talking about. I come from the art and design world, even though I do engineering of things. I’m not a degreed engineer. In the art and design world, we’re talking about relief here, which is really reliefs have existed as long as art has in the form of sculpture. You’re talking about pushing and pulling material, creating different shapes and patterns and all kinds of different details. You can create relief in many different ways with certain different programs applying interpretation of 2D images to create three-dimensional geometry. You can change the degree of depth through which it goes and how hard or soft it’s created. You could change the scale of these patterns. That’s the best way that I found. Here’s the thing. It takes some work to learn how to do it. 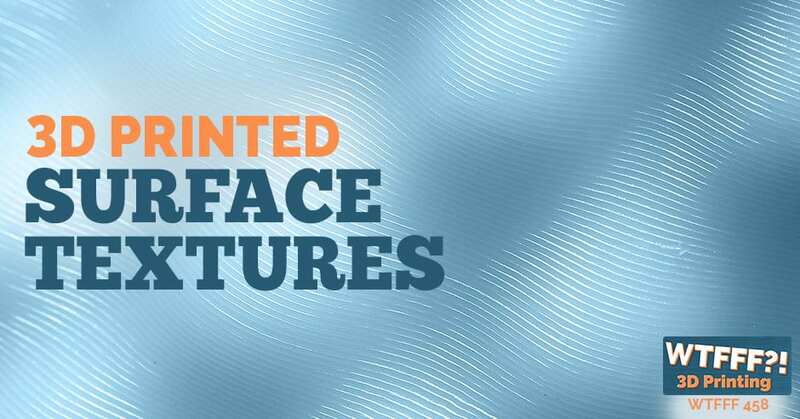 But if you really want to create 3D printed parts that are built layer by layer and completely disguise those layers, this is really the best way to do it and applying it to your vertical faces or surfaces that exist on your part, especially if you’re making a nice object. Let’s say you’re making a lampshade. A couple of weeks ago in the episode where I visited MakerBot in New York, there’s a couple of photos in that blog post of some things that MakerBot had made, some models they made of speakers, like a large Bose-type of speaker looking object. They had a lot of dimpled surfaces like that. I never asked them how they created that. I’ll have to go and do that. They probably created that one because it was a simple dimple. If I was making a golf ball for instance, I would create the pattern of dimples, I would just actually use standard commands in CAD program. I wouldn’t be using a texture interpreted from a 2D image and project it on to it. Dimples are probably a little easier because you can do a polar array around something that’s round or even spherical of a pattern that is a half drop repeat. I think golf ball dimple shape is a bit of a half drop repeat that is repeated radially around the sphere of a golf ball. I think it’s an actual definable, repeatable pattern that you can do. If you’re going to do anything that has that kind of definition, create the three-dimensional shapes that you either want to add or subtract from another object and use a command like an array, either rectangular or a polar, creating that repeated pattern then use a Boolean operation to add it or subtract it from what you’re doing. That’s really the only other way. Using SOLIDWORKS, that’s going to be probably the most practical way to try to do it, especially if you want to maintain all of your constraints and your smart geometry. Surface Textures: There’s not one absolute right or wrong way to make an object. I would be interested to know, once you did that in a SOLIDWORKS or even Inventor or all these other programs that use parametrics, once you create that dimpled pattern, if you ended up making the part larger, I wonder if it might actually stretch the dimples. I don’t think it’s going to create more for you. These are the complexities and challenges with parametric modeling versus other kinds of modeling. This also really points out the main reason why there are so many different CAD programs out there. There’s not one absolute right or wrong way to make an object. The more engineering type of programs are wonderful for creating geometry simply and being able to make changes in that geometry without having to rebuild the whole part. But you’re running up against where they become limited and it’s more on the artistic pattern decoration side of things that they tend to fall a little short or just are not able to achieve some of the same things as the more artistic programs. Then you have the more artistic programs. ZBrush as an example is way on the far end of artistic. You can create all kinds of wonderful organic textures and shapes. But you can’t be very specific in that program other than generally how big or small something is. You’re not going to have a great degree of precision. If you need to make a change to something, you may have to largely remake a large part, if not the entire part. There are pros and cons to every software. That’s why I don’t think there’s a good or a bad software out there. In terms of CAD creation, there are just different kinds and different programs have different better capabilities or not so great capabilities in certain areas. It really depends on what you’re trying to make. We always say in WTFFF, it’s all about the “what”. What the FFF do you want to make? Knowing that ahead of time will help you out. It doesn’t help you a lot if you spend a whole lot of time learning SOLIDWORKS, you don’t know these other programs so well and then you need to do more, I guess, less geometrically rigid creations because you’re going to have to learn another program or at least learn enough of it to use it. But you can do that. I use Photoshop, probably about 5% of all the tools in Photoshop I use. I use them for what I need to and I’ve learned how to do it and that’s it. I don’t try to do everything within Photoshop when I’m working with images. I’ve got a couple of different CAD programs and I use some more than others. It just depends on what I’m making. Unfortunately, I don’t have the absolute silver bullet here as the absolute answer for you, Casey . I’m sorry about that. I wish I did. But it’s a great question, it’s a great discussion. There are probably some new tools out there I don’t even know about. We’re always looking at new software. We’re always trying them out, reviewing them from time to time. I don’t know everything that’s out there, but if there’s something better out there, I bet one of our listeners knows and I’d love to hear about it. Please share with us. If you’ve got what you think is the best way to do it, or even if it’s not the best way, it’s just a way to do it, leave a comment or send us an email at info@3dstartpoint.com or reach out to us anywhere on social media, @3DStartPoint. Thanks so much for listening. I hope this episode was helpful.